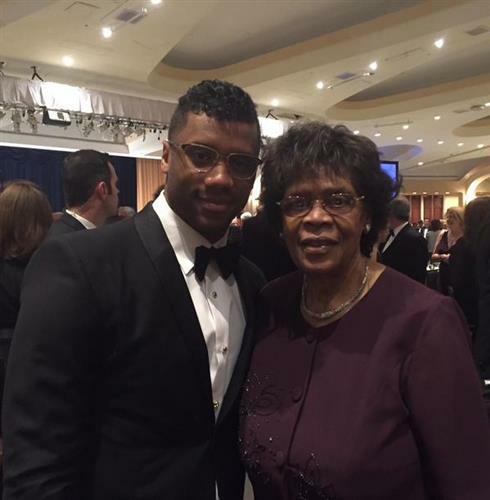 After spending time with his teammates on some sort of vacation/workout/mancation, Seattle Seahawks quarterback Russell Wilson attended Saturday night’s White House Correspondents’ Dinner with a special date. Wilson brought his grandmother along for the evening’s festivities featuring President Barack Obama and Saturday Night Live’s Cecily Strong. Seattle’s franchise quarterback wasn’t the only NFL name in attendance. Patriots head coach Bill Belichick, fresh off of an appearance at the White House on Thursday with the Super Bowl champion New England Patriots, also attended the dinner.